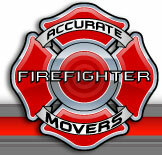 Save $20 on your next pack and move with Accurate Firefighter Movers! 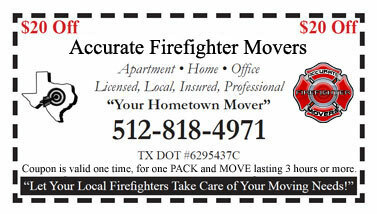 $20 Coupon is valid one time, for ONE pack and move lasting 3 hours or more. Must be presented at time of move. Click on the image below to download the printable coupon. Copyright © 2012 Accurate Moving. All rights reserved. 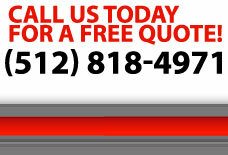 Site Designed & Maintained by Molly Reed Designs.